Hypnosis is a great treatment for Obsessive Compulsive Disorders because essentially, you are already literally hypnotizing yourself with your repeated behaviour patterns. Each time you satisfy the urge to check the door, turn the lights on and off or wash your hands for the umpteenth time, you are inadvertently creating strong neurological pathways that solidify your unwanted behaviour. Obsessive-compulsive disorder (OCD) can be described as unwanted obsessive thoughts or compulsive physical activities that are disrupting your quality of life. In some cases, the cause of OCD can be genetic, but in most cases emotional and developmental causes are at its root. By the time they get to my website, most people have been through hours of psychotherapy and counselling to try to get to the bottom of their behaviour; they may even be on a medication regime. Yet knowing why you do what you do (or even when you get triggered) isn’t enough to change the behaviour. You already know you want the behaviour gone; you just can’t get to the part of your mind that can help it to stop. Almost all clients who struggle with obsessive thinking and behaviour also have high levels of anxiety. The anxiety both causes and feeds the obsessive behaviour at the same time. When I work with my clients using hypnotherapy, I help them to really examine their thinking and hold the obsessive urges up to the light without becoming identified with them. When my client Laurie came to my office, he had already been working with a psychologist for over 6 months, with no success. His phobia of cancer compelled him to constantly check his body for lumps to the degree that he was forced to take a lot of time off work to attend endless doctor’s appointments. Laurie described the relief he felt after being reassured by the doctor that he didn’t have cancer as ‘very addictive’. Thus, a good deal of his time was spent seeking that reassurance. In Laurie’s case, a simplified approach to therapy wasn’t going to work. It became clear to me after a few sessions that he had a vested interest in hanging onto his OCD behaviour. Of course, he wasn’t aware of this consciously, which is why we needed to let the subconscious find and eliminate the cause. 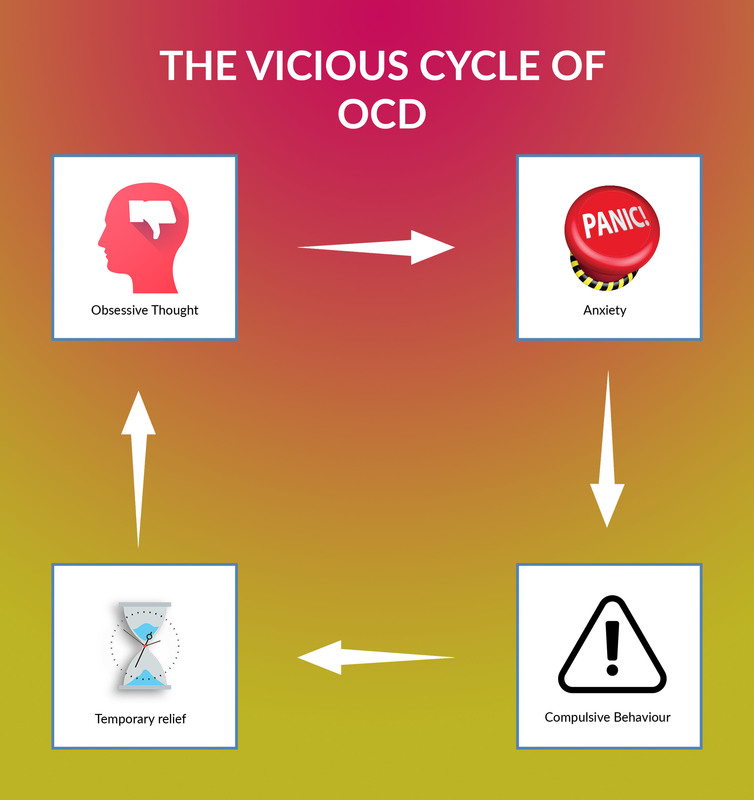 A client’s inner conflicts can trigger obsessive symptoms, creating a cycle of anxiety reactions that perpetuate the OCD symptoms. A further complication of Laurie’s OCD was severe depression; Laurie would often hide away in his room and avoid life, almost allowing his anxiety about getting cancer to swallow him whole. On some level there was a part of Laurie that was afraid to let go of this behaviour, in case he should be expected by his highly social and community-driven family to step up to the plate and participate fully in life again. Essentially, Laurie was afraid of losing his ‘me-time’. Once he learnt to set boundaries and ask for what he needed among his family and friends, he was able to eradicate his OCD and lead a normal, healthy life on his own terms. If you’re looking for a safe and effective way to treat your Obsessive Compulsive Disorder, hypnosis is an excellent tool to treat both the symptom and the cause of your behaviour so that you can enjoy a normal, happy life.